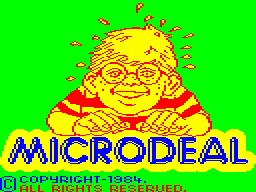 Microdeal was a British software company which operated during the 1980s and early 1990s from its base at Truro Road in the town of St Austell, Cornwall. The company, founded by John Symes was one of the major producers of games and other software for the 8-bit home computers of the time, in particular the Dragon 32 and the similar Tandy TRS-80 Color Computer ("CoCo"). The 8-bit software market dwindled toward the end of the 1980s and Symes officially announced that Microdeal would no longer publish for the Dragon and Tandy machines on 1 January 1988; from this point they would concentrate on the newer generation of 16-bit computers, the Commodore Amiga and Atari ST, with their remaining stock of Dragon and Tandy software to be sold off by a company called Computape. The companies publishing licences were sold to Hi-Soft and it ceased trading in the early 1990s. 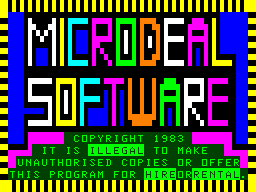 Some of Microdeal's software was produced in-house by the company's own programmers (including Steve Bak, Rita Jay and Ed Scio) but they also licensed software from foreign sources, such as the American Tom Mix Software and Spectral Associates, and published the works of independent programmers (notably Ken Kalish who was responsible for some of their most successful titles). Much of the software brought to Britain from the US was originally written for the Tandy CoCo (which was the more popular machine there) and converted to work with the Dragon. These conversions were contracted out to a company called Northern Software Consultants where they were handled by lead programmer Chas Robertson. Chas also designed the dongle device that was experimentally used for copy protection of a single Microdeal title, Buzzard Bait. Some of Microdeal's licenced games were renamed for the British market. For example, they released a series of games based around the company mascot Cuthbert (Cuthbert Goes Digging, Cuthbert In The Jungle, etc). The original members of this series were written in-house by Steve Bak, but later additions were completely unrelated. Rather, they were renamed titles from several different sources - the graphical limitations of computers at that time meant that a character was unrecognisable and could be given any convenient name. 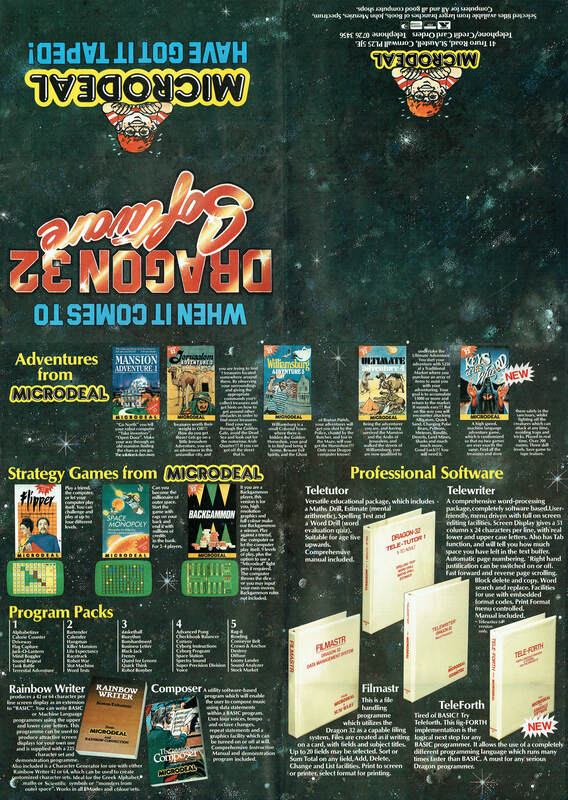 Microdeal also had a brand called Pocket Money Software, which published simpler games submitted by users at a lower price than the main titles. 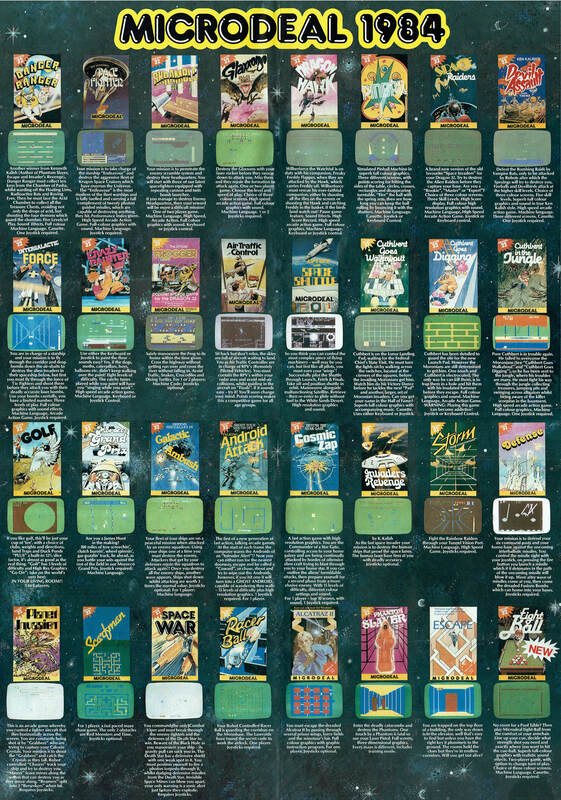 While some Pocket Money games were arguably of poor quality, others were among the company's most popular titles. Microdeal also sold Cuthbert-branded blank media (tapes, disks, etc), re-boxed and sometimes adapted hardware (such as joysticks) made by other companies and published an occasional semi-informative, semi-promotional magazine called The Cuthbert Chronicle. They also accounted for most of the advertising space and reviews of Dragon User magazine. John Symes the founder of Microdeal went on to run a car dealership in Bournemouth. This page was last modified on 30 December 2018, at 17:50.